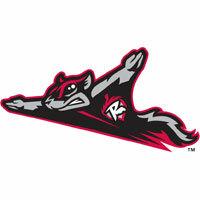 The Richmond Flying Squirrels (12-13) built a five-run lead only to have to hold on for dear life, defeating the Bowie Baysox (11-13), 7-6, at Prince George’s Stadium on Monday night. The Squirrels were able to gun down the potential tying run at the plate twice in the bottom of the ninth inning to preserve the win. The Squirrels jumped on top quickly with a first inning run against Bowie right-hander Eddie Gamboa. Joe Panik started the Squirrels with a one-out single and advanced to third base on a pair of passed balls. Javier Herrera made it 1-0 with a clean single to left-center field. Gamboa walked Andrew Susac to start the Richmond second inning. Susac promptly swiped second base and advanced to third on a wild pitch. Ryan Lollis yanked an RBI single up the right-field line to put Richmond in front, 2-0. Richmond got another run off Gamboa in the fourth inning. Brett Krill was plunked by Gamboa with one out in the inning. After advancing to second base on an error, he came around to score when Ehire Adrianza blistered a double into the right-field corner. Richmond led 3-0. Right-hander Justin Fitzgerald cruised through three scoreless innings before finding trouble for the first time in the fourth inning. An inning that included a pair of singles, two walks and two wild pitches allowed Bowie to score their first run. The Baysox cut the Richmond lead to two runs when Henry Urrutia scored on a wild pitch from Fitzgerald. Herrera quickly stretched the Squirrels’ lead back to three runs when he walloped a solo-home run to left-center field off Gamboa. The tape-measure shot was Herrera’s team-leading fourth of the year and gave the Squirrels a 4-1 advantage. Bowie picked up their second run against Fitzgerald in the bottom of the fifth inning. A lead-off walk to Xavier Avery led to a two-out RBI single from Caleb Joseph that pulled the Baysox back within a pair of runs, 4-2. Gamboa worked into the seventh inning, and the Squirrels struck for two more runs before he called it a night. Panik once again ignited the Squirrels with a single. Minicozzi singled behind Panik and a batter later, Ricky Oropesa knocked in Panik with a single into right field. Gamboa was lifted in favor of right-hander Eric Beaulac. He walked Susac and Jarrett Parker in succession, with the second walk plating Minicozzi for a 6-2 Richmond lead. The Squirrels got another run off Beaulac in the eighth inning when Panik doubled home Lollis, who had also doubled. The Squirrels led 7-2 heading to the bottom of the eighth inning. Left-hander Phil McCormick entered for Fitzgerald and walked three batters in addition to allowing a single. He had allowed a run when he was lifted in favor of Fabio Castillo. A dropped pop-up allowed the Baysox two more runs to close within two runs. Castillo then walked back-to-back hitters to walk in a run and make it a one-run game. The Squirrels went back to the bullpen for Edwin Quirarte. He struck out Joseph to end the threat. In all, the Squirrels walked five men in the bottom of the eighth inning and nine for the ballgame. Quirarte came back for the bottom of the ninth inning and allowed a first-pitch double to Urrutia. Britton then singled into right field and Brett Krill gunned down Urrutia at the plate. It was the second runner Krill had thrown out at the plate in the ballgame. Brandon Waring then singled into left field. Britton barreled around third base and Herrera threw him out at the plate. Back-to-back outs at the plate allowed Quirarte to close out the ballgame with a groundout. In one of the wildest finishes in franchise history, Quirarte earned his first save of the season. Fitzgerald (2-0) earned the win over seven innings – his longest outing of the season. Gamboa (0-2) endured the loss over 6 2/3 innings. Fitzgerald was charged with just one earned run and two total. Gamboa was charged with six runs, five earned on 10 hits. Game two of the four-game series with the Bowie Baysox (Baltimore Orioles) is scheduled for 7:05 p.m. on Tuesday night from Prince George’s Stadium. Richmond LHP Jack Snodgrass (3-0, 2.01) will make the start against RHP Devin Jones (0-1, 5.17) for the Baysox. Pregame coverage begins on Sports Radio 910, SportsRadio910.com and IHeart Radio at 6:35 p.m.